FORT WORTH, Texas (January 27, 2015) – In anticipation of its 2015 Annual Meeting, the Fort Worth Convention & Visitors Bureau (FWCVB) is pleased to announce an inaugural recognition for contributions to the travel and tourism industry. The recognition honors an individual or organization that has demonstrated a vision for enhancing Fort Worth as a better place to visit and live. Each year the FWCVB will recognize a person, company or organization that has made significant contributions to developing, marketing and delivering visitor experiences to Fort Worth’s travel, tourism and hospitality industry. The 2015 honoree is the late Holt Hickman. 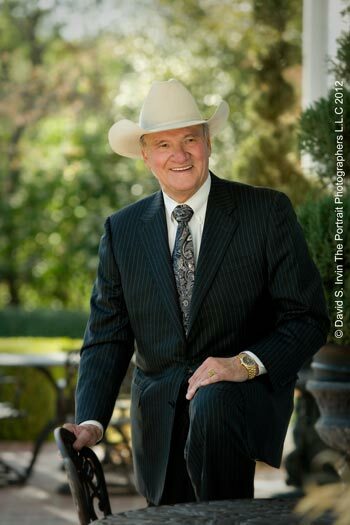 “His generous investments and ability to bring people together aided in preserving our authentic western heritage and developed a story that draws millions of visitors to Fort Worth each year,” said President and CEO Bob Jameson of Mr. Hickman, who served on the FWCVB Executive Committee for six years. A businessman, entrepreneur and philanthropist, Hickman was known for his contributions to developing the Stockyards National Historic District including Billy Bob’s Texas, the Livestock Exchange Building, Stockyards Station and the Hyatt Place Stockyards Hotel. “Holt was a visionary who loved his city," said Lyda Hill, a friend and early business partner of Holt Hickman. "His passion for Fort Worth revitalized the Stockyards. He accomplished a tremendous amount during his lifetime. He built an attraction that created hundreds of jobs and brings people from all over the world to Fort Worth. There would be no “Where the West Begins” without Holt." The recognition will be presented to the Hickman family on February 4 at the sold out FWCVB 2015 Annual Meeting & Breakfast held at Ashton Depot. A video tribute and photos of the recognition will be posted to www.FortWorth.com/Annual in the days following the meeting. The FWCVB is the official destination marketing organization of the 17th-largest city in the United States, dedicated to promoting Fort Worth as a premier business and leisure destination with thriving centers of culture and commerce. Known as the “City of Cowboys and Culture,” Fort Worth is a destination with a rich Western heritage and a dedication to the arts and urban renewal. The city is home to the famed Stockyards Historic District, the lively downtown Sundance Square and a renowned Cultural District complete with five museums, including the National Cowgirl Museum and Hall of Fame and the Kimbell Art Museum. For more information, visit FortWorth.com.